10 Easy Steps to a Complete Understanding of SQL — A walk through some of the fundamentals of SQL and the key concepts it introduces by being a declarative language rather than imperative or object oriented. Denormalization: When, Why, and How — So your data model was built by the book complete with normal form, but you still need to improve performance? Denormalization is a technique that should be considered. AWS Database Migration Service — You can move live, terabyte-scale databases to the cloud, with options to stick with your existing database platform or to upgrade to a new one. Compose Enterprise: Deploy databases in minutes — We've just launched the beta of Compose Enterprise, a new powerful option for using Compose which lets you deploy production-ready databases with ease within your own cloud clusters. Designing a RESTful API with Node and Postgres — A complete walkthrough of creating a RESTful Web service using Express, Postgres, and pg-promise. Building A Photo Search in A Weekend with Elasticsearch — Using Docker to get things up and running quickly, this tutorial series demonstrates using Elasticsearch as an image search system. Tile38: Geolocation Data Store, Spatial Index, and Realtime Geofence — It supports a variety of object types including lat/lon points, bounding boxes, XYZ tiles, Geohashes, and GeoJSON. Turning The Database Inside Out with Apache Samza — An introduction to Apache Samza, a distributed stream processing framework, both in video and extended transcript form. Chain works with Visa/Nasdaq to digitize money & you'll never guess which RDBMS we use — Come work with us as we rethink the tech stack for financial services. We need folks who are experts in database systems and are eager to make a big impact. Monitor MySQL, Redis, DynamoDB, Amazon RDS, Postgres, and more — Datadog collects DB metrics for graphing, alerting, and full-stack correlation analysis. 14-day unlimited trial. Graph Databases 101 — A quick, high level introduction to what graph databases are about. 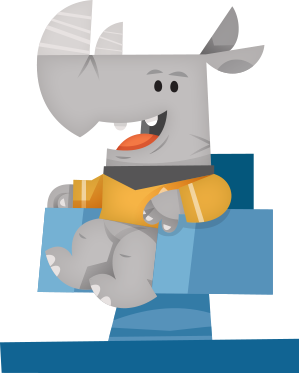 mailcap: Email Capture and Archiving Server on RethinkDB — A SMTP server tied to RethinkDB for storage.